→What Are The Best Protein Bars For Weight Loss and Muscle Gain? Protein bars might be something that you associate with bodybuilders and meatheads only, but you don’t have to be a gym rat to benefit from getting more protein in your diet. Protein has been shown to help you help keep you full, curb cravings, and boost your metabolism by increasing the thermogenic process in your body (1, 2). It also plays an important role in your mental health to help improve your concentration and ward off depression. This is because many neurotransmitters in your brain are made of amino acids (3). Finally, you need protein to help build lean muscle and help your body repair itself after injury or illness. As you can see, protein is one macronutrient you don’t want to become low in (4). If you find it difficult to get more protein in your diet, then consider supplementing with a protein bar. Before you run out and buy the first one you see, it’s important to know what constitutes a good protein bar. If you pick the wrong one, you’ll just be indulging in a glorified candy bar. In this guide, we will give you some tips for choosing the best protein bar. We’ll also introduce you to our favorite low-carb, keto-friendly protein bar to best support your ketogenic diet. In a rush? Check this out! Protein bars are great because of their convenience. They come prepackaged and can be taken just about anywhere. You might not be able to smuggle a T-bone steak into the movie theater the next time you want to enjoy a snack, but no one is going to complain if you open a protein bar. Additionally, many protein bars are fortified with vitamins and minerals, which can make them a great way to get some added nutrients in. The problem with most protein bars is that many of them are no different than your favorite candy treat in terms of nutrition. They’re highly processed, loaded with copious amounts of sugar or artificial sweeteners, and contain partially hydrogenated oils. Indulging in most commercial protein bars can send your glucose levels soaring and kick you right out of ketosis. To prevent this from occurring, we’re put together a list of tips to help you pick out the best one. You’ve probably seen a label reader in action at the grocery store before. They stand in the aisle holding a particular item, staring at the back label. It might look foolish, but these people are onto something. Before you purchase a protein bar, check the label to make sure it fits your macronutrient needs. Don’t just assume that it’s healthy just because it’s labeled as a protein bar. A good protein bar should only contain a few net carbs, which is the amount of total carbs minus the grams of fiber. Additionally, if you’re on the keto diet, you’ll need a bar that contains a good amount of fat, too. 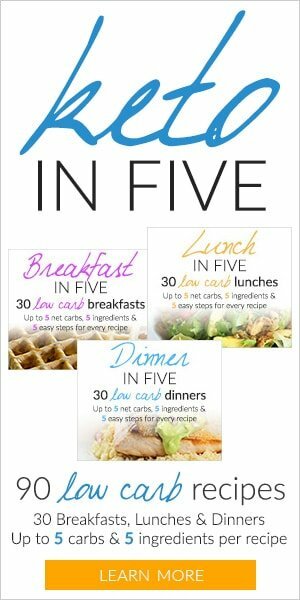 Remember that if you want to stay in ketosis, your carbohydrate intake should be limited to five percent of your total daily calories. You could easily blow it on a protein bar that contains too many carbs and not enough fat, so be sure to check the label. Most nutritionists will tell you to pay attention to quality over quantity. There’s a lot of truth to this. It’s more important to worry about eating foods that contain high-quality ingredients as opposed to worrying about how much you’re eating. If you’re on the ketogenic diet, then you’ll want to pay attention to both. Look for a protein bar that does not contain garbage ingredients or fillers, such as refined sugar, high fructose corn syrup, partially hydrogenated oils, artificial flavors, preservatives, and food dyes or colorings. These ingredients are highly inflammatory and will make you feel worse than you did before you needed a snack. Food manufacturers are on to the fact that people won’t buy their protein bars if they are loaded with sugar. They also know that people won’t buy their bars if they taste terrible, either. So they think they can work around this by pumping their bar full of artificial sweeteners. After all, they contain no calories, so they can’t be bad, right? Wrong! Most commercial artificial sweeteners such as aspartame and sucralose are disastrous for your gastrointestinal system. If you want to have an upset stomach all day long, then treat yourself to a “sugar-free” protein bar that lists an artificial sweetener as one of its first ingredients. Instead, stick with keto-friendly non-calorie sweeteners such as monk fruit, stevia, and erythritol, which are naturally derived from plant sources and won’t give you the tummy troubles like the chemically processed ones do. For more information on which sweeteners and sugar substitutes are best, check out our article here. What Are The Best Tasting, Healthy and Sugar-free Protein Bars? You can’t go wrong when you buy a Perfect Keto Protein Bar. 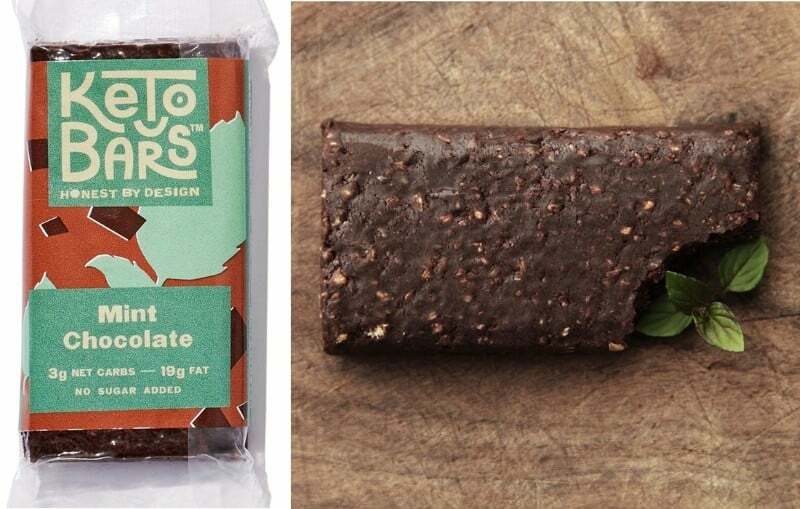 After all, it’s a protein bar designed by a keto company, so you know it was created with ketosis in mind. It is the lowest carb and the most keto-approved product. Perfect Keto protein bars contain 19 grams of fat, 10 grams of protein from collagen, and only 3 grams of net carbs. Notice that the ratio between fat, carbs, and protein is ideally suited for a person on the keto diet. You won’t find this in too many bars on the market. It also includes all natural ingredients with no junk or fillers, such as organic almond butter, collagen protein (learn why that’s good for you here), organic coconut oil, and stevia. It even has soluble tapioca fiber to help maintain a healthy digestive system. Most companies use low-quality binders such as honey, dates, sugar syrups, or corn fiber. In place of traditional preservatives, Perfect Keto uses sunflower lecithin and natural flavors to help keep your bar shelf stable so you can travel with it safely without worrying about added chemicals. 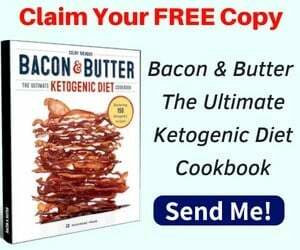 Our #1 Choice for Ketogenic Diet! Here are some pros and cons of this bar. 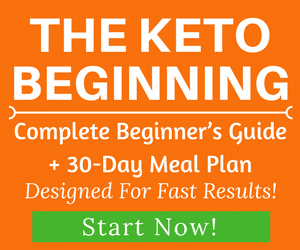 Provides you with another keto snack option that isn’t a fat bomb! Check Current Special Deals Now! Quick note: If you’re on a strict keto diet, Perfect Keto is your #1 choice. 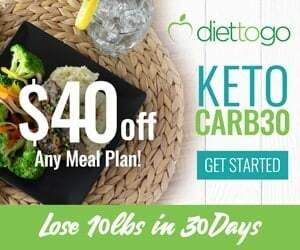 It’s the only product in the market that meets all the strict keto requirements that we’ve found so far. 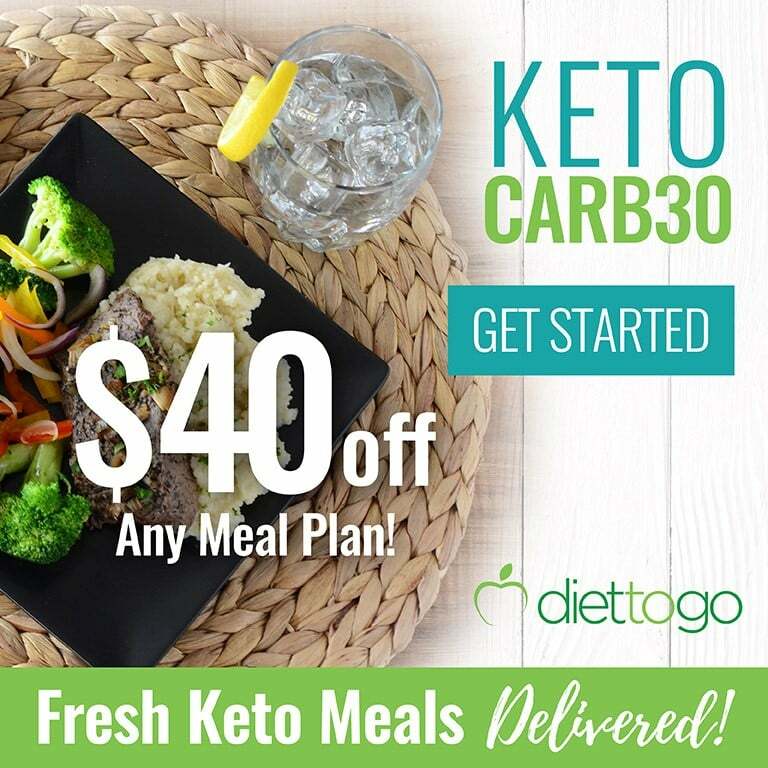 Other low carb brands usually have a few ingredients that aren’t keto-friendly. Where to Buy: Get Special Price Here! 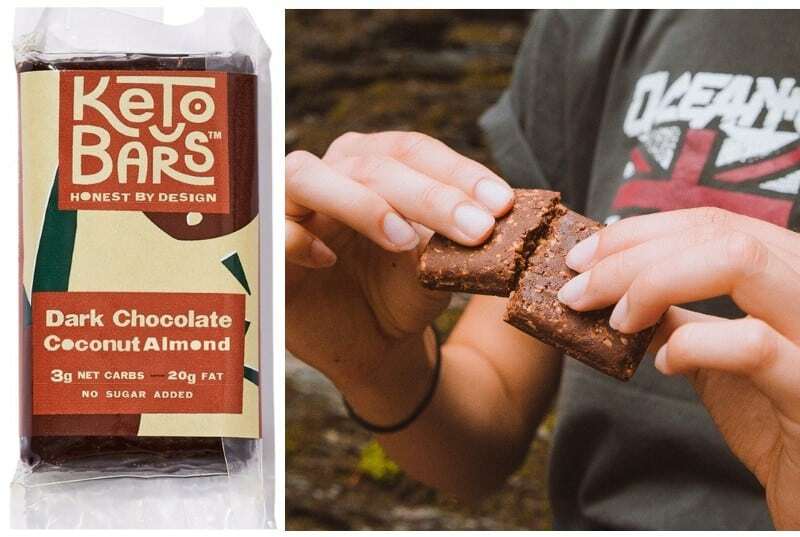 You can’t beat the clean ingredients in this dark chocolate coconut almond keto bar, which includes chocolate, almonds, cocoa processed with alkali, erythritol, water, coconut oil, salt, and stevia. 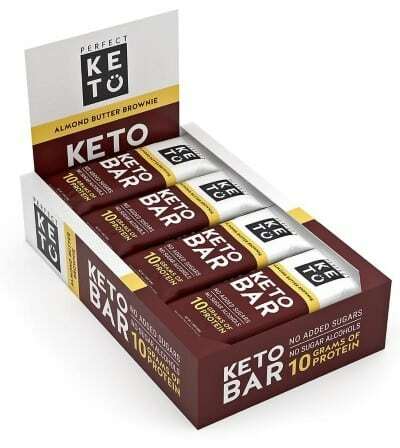 Unlike most bars, these keto bars are made with unsweetened chocolate to keep the sugar and carb content low. It also uses coconut oil and water to give this bar a smooth yet dense and filling texture. The bar is sweetened with two of the most popular non-calorie keto-friendly sweeteners, erythritol, and stevia. These two sweeteners compliment each other to enhance the flavor of the bar without being overwhelming. One bar contains 227 calories, 12 grams of fat, 3 grams of net carbs, 7 grams of fiber, and 6 grams of protein. It has the texture of your favorite fat bomb or a no-bake energy bar, but without the carbs and sugar. Short shelf life- because there are no preservatives in this bar (that’s a good thing! ), they won’t last for months like other bars – but you don’t want them to last long anyway since they are so good! 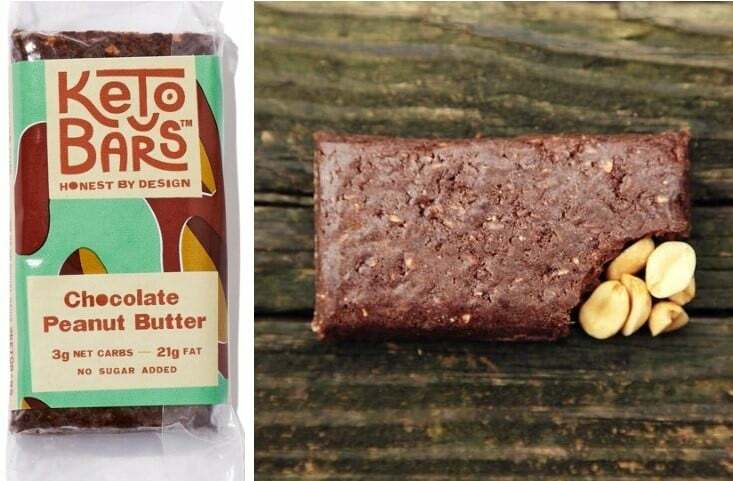 Most people would agree that there is no better food combination than chocolate and peanut butter, but it’s hard to turn these ingredients into a tasty ketogenic-friendly bar. Most chocolate and peanut butter bars contain some kind of sugary sweetener. Keto Bars uses erythritol and stevia to sweeten its bars, which are no-calorie sweeteners that are naturally derived from plants. The only other ingredients you’ll find in this far are peanut butter, chocolate, coconut, water, and salt. One bar contains 250 calories, 21 grams of fat, 13 grams of carbohydrates, 3 grams of net carbs, 6 grams of fiber, and 8 grams of protein. It is higher in fat and calories than other keto bars, which means that it can help keep you fuller for longer periods between meals. It’s an excellent choice if you have a sweet tooth to crave and want a decadent treat without the carbs. It’s made with peanut butter which some people might not appreciate it on a strict keto diet. Other nuts such as Macadamia, Brazil, pecans, or almonds are better suited for the ketogenic diet. These mint chocolate keto bars contain real peppermint oil, which gives it an incredibly delicious taste with nothing fake added to it. Along with making your bar tastes great, peppermint oil is beneficial for digestive health. Research shows that peppermint can help ease a troubled tummy and soothe nausea. Ingredients include unsweetened chocolate, almonds, coconut, erythritol, cocoa processed with alkali, salt, stevia, and peppermint oil. One bar contains 220 calories, 19 grams of fat, 15 grams of carbs, 3 grams of net carbs, 7 grams of fiber, and 6 grams of protein. We like that this bar contains 7 grams of fiber as well as peppermint oil to help improve digestion. It also contains no added preservatives or artificial flavors to enhance the taste. We recommend pairing this bar with a cup of hot mint tea or eating it in between meals to help settle your stomach. It would make a great keto substitute for mint chocolate ice cream if you have a sweet tooth to satisfy. We’re not sure what kind of coconut is used in this bar as a label only says “coconut.” Although this isn’t a big deal, it would be nice to know if the coconut used is shredded or in the form of coconut oil. The following 2 choices aren’t ideal for a strict keto diet, but they are decent for a general low carb diet and other healthy diets. 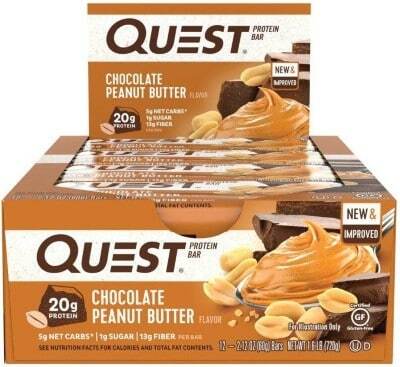 Quest Protein Bars aren’t in the same ballpark as Perfect Keto, but if you need something to eat and your only other option is a candy bar, then go ahead and try one. They contain 10 grams of fat, 20 grams of protein, 4 grams of net carbs, 1 gram of sugar, and 15 grams of fiber per bar. 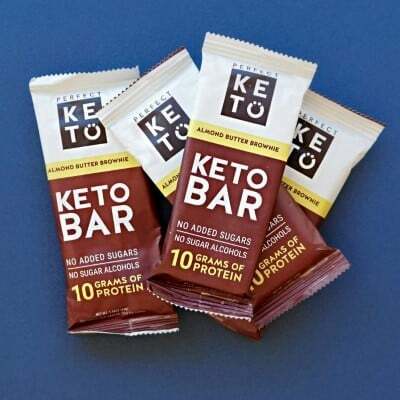 We like that the bar contains so much fiber because this will help keep you full and prevent you from overeating, but the fat and protein ratio isn’t as ideally suited for keto as the Perfect Keto bar. It’s more suitable for low carb diets. Additionally, Quest Protein Bars contain a milk protein blend, peanuts, and soluble corn fiber, which are cheaper ingredients than the Perfect Keto bar. There are no sugar alcohols, which is nice because you’re less likely to have stomach problems after eating it. But we’d like to see higher-quality ingredients such as coconut oil and almond butter in place of peanuts and milk. 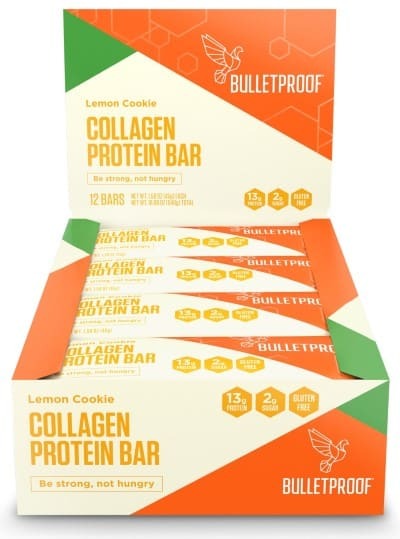 Bulletproof is a well-known company with solid products, so we expect a lot from their protein bars. 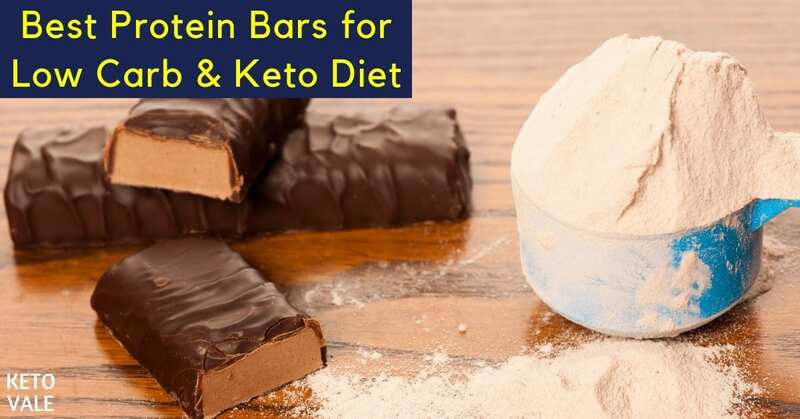 These bars contain collagen protein from grass-fed cows, which is a popular keto ingredient to help give you healthy looking hair, skin, and nails. They also contain Bulletproof’s signature Brain Octane oil and XCT oil to help keep you sharp and focused without crashing. We also like the use of organic lemon oil in place of sugar and organic cashew butter in place of peanuts. The downside is that this bar contains higher net carbs compared to other keto-friendly bars. This bar is more for a low carb diet than keto. One bar contains 210 calories, 14 grams of fat, 8 grams of net carbs, 5 grams of fiber, and 12 grams of protein. Because the net carbs are so high, you may have to do some adjusting with the rest of your diet when it comes to counting your macros. We also don’t like the use of palm oil, which isn’t good for the environment. Overall, this isn’t a bad bar to enjoy once and a while. Lemon is tasty, but we like the flavor provided by the Perfect Keto bars better because they are better suited to curb your cravings for something decadent! Before you write proteins bars off as something only workout fanatics use, consider that protein is necessary to help you lose weight and improve your cognitive performance. Eating a protein bar in between meals is a great way to curb hunger while doing something good for your body. Keep in mind that if you’re on the ketogenic diet, you have special requirements for a protein bar. It needs to contain a good amount of fat while also being low-carb. Most commercial protein bars are nothing more than glorified candy bars. They contain added sugars or sugar alcohols, and partially hydrogenated oils. We found three low-carb proteins bars in this article to help you the next time hunger strikes and your next meal is hours away. 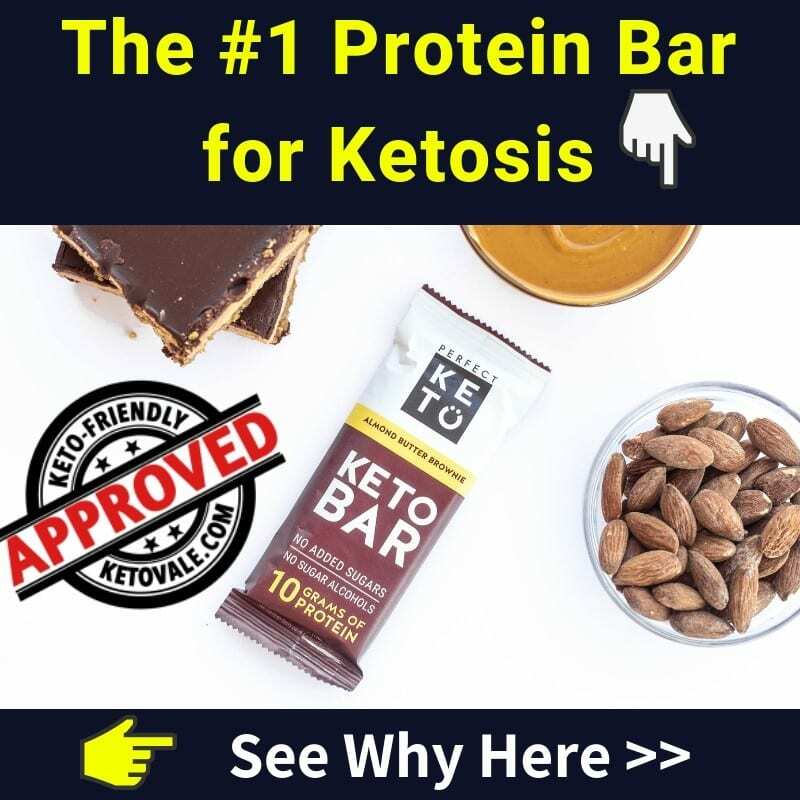 Our top choice is the Perfect Keto Protein Bar, which contains the perfect macronutrient ratio for a keto diet. It’s the best tasting and healthiest because it contains all natural, high-quality ingredients with no junk or fillers. With tasty flavors such as almond butter brownie and salted caramel, you’ll curb cravings and fuel up with fat-burning ketones. These bars are a perfect keto snack for you anytime, especially when you travel on the plane.